I was at the Singapore Toy Games & Comic Convention (STGCC 2014) last weekend and managed to pick up these two items 🙂 one is the new and very exclusive (limited run of 300 pieces) DAM Toys Gangsters Kingdom GK001EX Spade J which has already fetched USD400 on e-bay (completed sales). 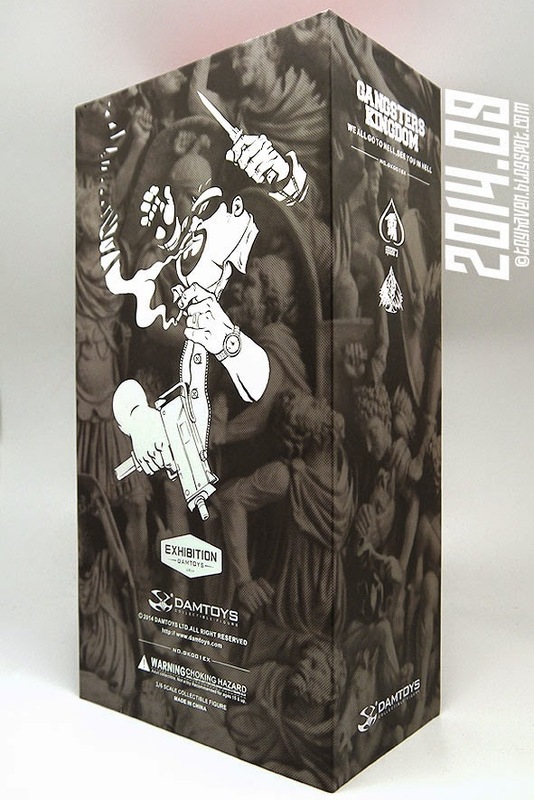 This is the first Gangsters Kingdom toy fair exclusive figure by Dam Toys and there was certainly very heavy demand for this figure which sold out pretty fast. 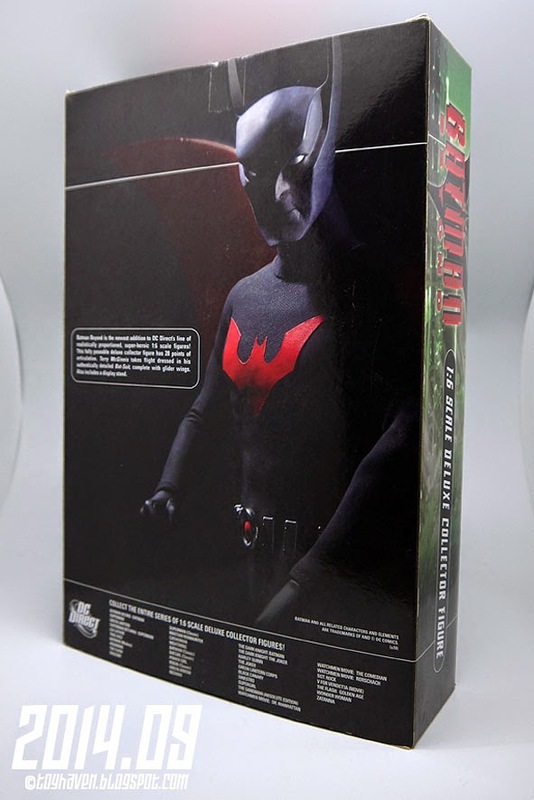 The other is the DC Direct Batman Beyond 1:6 Scale Deluxe Collector Figure based on the acclaimed animated series “Batman Beyond” (also known as “Batman of the Future”) that features teenager Terry McGinnis as a new Batman in a futuristic Gotham City under the tutelage of an elderly Bruce Wayne. I only got it because it was being let go at a good price 🙂 For my coverage of STGCC 2014 over four parts, you can check out my posts HERE, HERE, HERE and HERE. Dam Toys has been doing a GREAT job with their Gangsters Kingdom series of 12-inch figures from the first released Spade J figure (which many people missed out on), followed by Spade 2, Spade 3, Spade 4 and the recently released Diamond 2 characters. In my toy blog post titled “The Gang’s all here!”, you can see the four Spade family 1:6 scale figures gathered together for a group picture HERE. 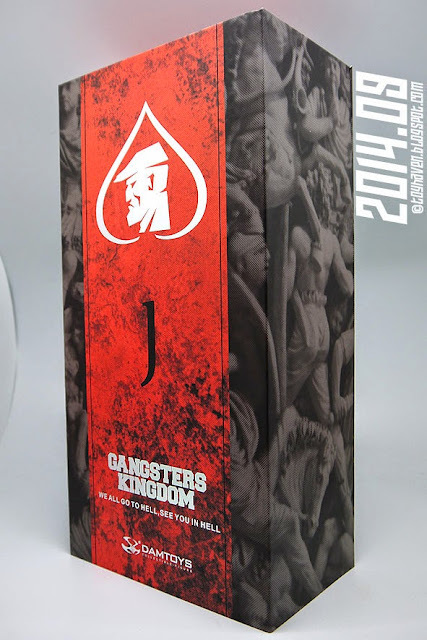 I’ve also gotten the DAM TOYS (GK#005) Gangsters Kingdom 1/6 scale Diamond 2 “Alger” 12-inch figure in August 2014 as part of my haul (posted HERE) and while I’ve taken pictures of it, I have yet to post them on my toy blog but will be doing so real soon. Batman Beyond (also known as Batman of the Future) is an American animated television series created by Warner Bros. Animation in collaboration with DC Comics as a continuation of the Batman legacy. Depicting teenager Terry McGinnis as a new Batman in a futuristic Gotham City under the tutelage of an elderly Bruce Wayne, the series began airing on January 10, 1999, and ended its run on December 18, 2001. After 52 episodes spanning three seasons and one direct-to-video film, the series was put on hold for the Justice League animated series, despite the network having announced plans for a fourth season. 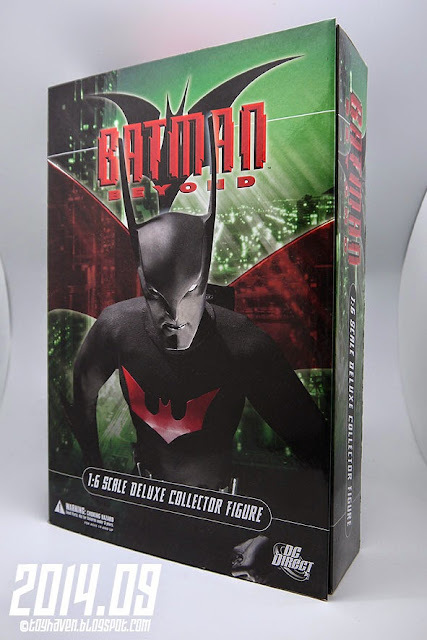 At 1/6 scale, this DC Direct Batman Beyond 1:6 Scale Deluxe Collector figure stands 13 inches tall and features a cloth costume that accurately reproduces the character’s look from the animated Batman Beyond series. It comes with glider wings that measure 14 inches across. I was intrigued by how the toy designers interpreted the future Batman’s look, a little unconventional and very different from the rest of the other Batman characters. Haters gonna hate but somehow I like it! 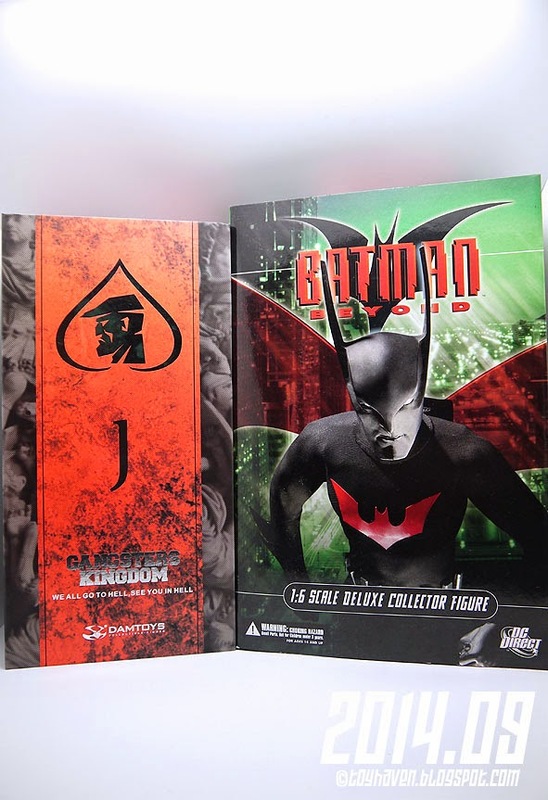 So far I’ve only had the much smaller scale Batman Beyond action figures released by Mattel Toys (see my toy post HERE) so this is a welcome change as this makes it the 1:6 scale version of Terry McGinnis Batman of the Future. Resin test pulls of FOOT CLAN figures from Daniel Yu, who has design and sculpted them, featuring articulation too! In homage to the classic TMNT / “Teenage Mutant Ninja Turtles” – look for them at booth booth AA90 in Artist Alley at the coming Singapore Toy Games & Comic Con (Sept 6-7, 2014). Can’t wait to see them painted up!